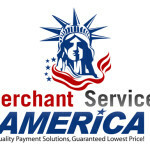 Merchant Services America has a variety of industry leading, high quality payment processing solutions found in medical offices, restaurants, bars, convenience stores, gas stations, hotels, supermarkets, dry cleaners, auto repair and other businesses around the country. We provide strong product selection along with Value Added Services that put us head and shoulders above the rest. Whatever your merchant needs, we have the solution! Our experienced merchant processing consultants provide personal customer service to all of our business clients on a monthly basis. With Merchant Services America, you don’t just get great rates, and products. You also get first class personalized customer service! We follow up with you regularly to keep you up to date on the latest rule changes, and programs we have to help your business thrive! We take the term “service” to a new level!